T/3 Jess Paul Boyd, son of Mr. and Mrs. Homer G. Boyd, graduated from Frederick High School; husband of the former Cumi Moore. 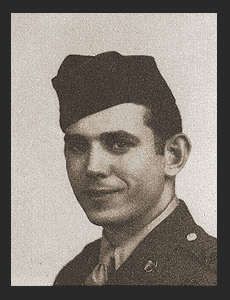 Entered the Army in May 1943; trained in Camp Hale, Colo., Springfield, Mo., served in Italy. Awarded ETO Ribbon with two Battle Stars, Good Conduct Medal, and Bronze Star.